There are people who claim there is a war on religion taking place in the United States. Of course this is ridiculous, but when there’s an entire television network selling this lie, and plenty of people willing to blindly follow along, these things gain traction. Truth is, some people of the religious persuasion are upset they don’t get to dominate all proceedings and push their will on others, so their response is that of a spoiled child who doesn’t get his or her way. Naturally, there is a backlash against people forcing their beliefs on others and wanting everyone to live the same way they do, and that very thing has been a part of heavy metal pretty much since the beginning. There’s a blind belief by some that all bands who rail against religion are trying to get attention or seem hollowly rebellious, but many of these people live in societies where these ideals are forced on them, and their rejection of said thinking makes them into the outcast. That’s how we get bands like Vanhelgd, a Swedish death metal force looking to strike back against those who try to impress their ways on others. The band’s third record “Relics of Sulphur Salvation” is a violent strike back against those who refuse to let others live as they choose. It’s a breaking of the chains. This band has been kicking around since 2007 and released their first record in 2008 with “Cult of Lazarus.” They fired back in 2011 with “Church of Death,” released by Nuclear War Now! Productions, and now they’re back with this fire-breather that is being joint released by Pulverised Records in Europe and 20 Buck Spin in North America. The warriors who created this chaos have plenty of experience in other bands such as Thy Primordial, Ceremonial Execution, Blump, Bloodshed Nihil, and King of Asgard, and the lineup here includes guitarists/vocalists Mattias “Flesh” Frisk and Jimmy Johansson, bassist Jonas Albrektson, and drummer Bjorn Andersson. The band has a knack for filthy, old-school death metal that’s also infused with melody, and the vocals are as infernal and dangerous as you may expect. The sound totally hits that sweet spot for the good, vicious stuff that turns its collective nose at polish and anything that aims to be widely embraced. It’s death metal. It’s supposed to be ugly. The record begins with “Dödens Maskätna Anlete” and a serious helping of swirling guitars, airy atmosphere, and eventually gut-wrenching violence, complete with menacing growls. The music runs headlong into death and black metal fury, with a savage delivery and fantastic riffs that sound like the very foundation of this genre. “The Salt in My Hands” has thrashy tones, throaty vocals, and channeled guitars that are working hard to drive home the madness. Eventually the song halts and teases calm only to blow back open and start killing again with hefty drums, lumbering guitars, and howls of, “I am the great deceiver!” “All Flesh Is Soil” simmers in doom at the beginning before it ignites into a total death assault complete with relentless speed and devastating growls that are terrifying and weighty. “Ett Liv I Traldom” grinds away with filthy guitars but also some melody that dashes the song with color. The band kicks in with a gang-chanted section that keeps coming back, like they’re holding a séance in a cave before a mission, and the track is completely barbaric and out for blood. “May the Worms Have Mercy on the Flesh” obviously doesn’t have good intentions, and it launches full bore into crushing riffs, hellish vocals, and even some higher-pitched screams that injects more terror into the track. There is a tradeoff of doom clouds and speedy fire, with the growled words sounding like they were choked forth. The title cut has piercing guitar work and drums that are looking to maim, and the mauling that takes place is both heavy and threatening to bury you. The final minutes are equally smothering and flushed with razor-sharp melodies, leaving everything in a gigantic pile of dust. “Sirens of Lampedusa” rips right open, with aggressive riffing, painful-sounding shrieks, killer blast beats, and shriek-filled vocals, with the band sounding like they’re letting loose and planning to take out whatever or whoever is in front of them. The end of the song is buried in meaty riffs, with heavy waves lapping the shore. “Cure Us From Life” is a closer that is short and to the point, with a punk-fueled surge and a tempo that trucks forward heavily and with malice. A declaration stating, “We all face eternal damnation!” wails on you, as the grisly, ugly journey comes to the end, leaving you with a mouth full of blood and a body full of bruising. 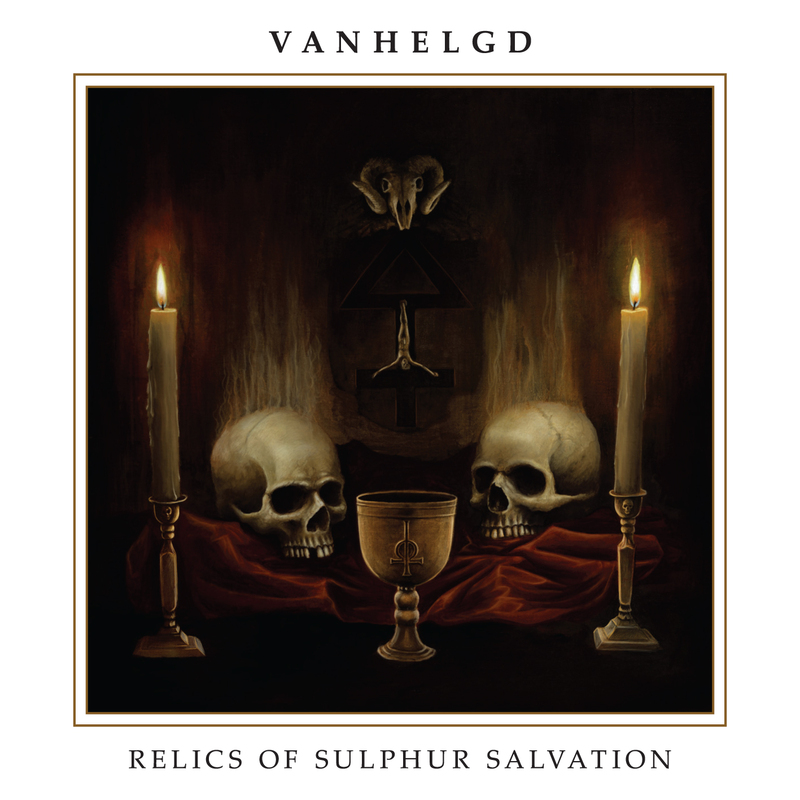 Vanhelgd’s brand of death metal isn’t going to be featured on some corporate-driven summer shed show (thankfully) and isn’t buffed and pristine. 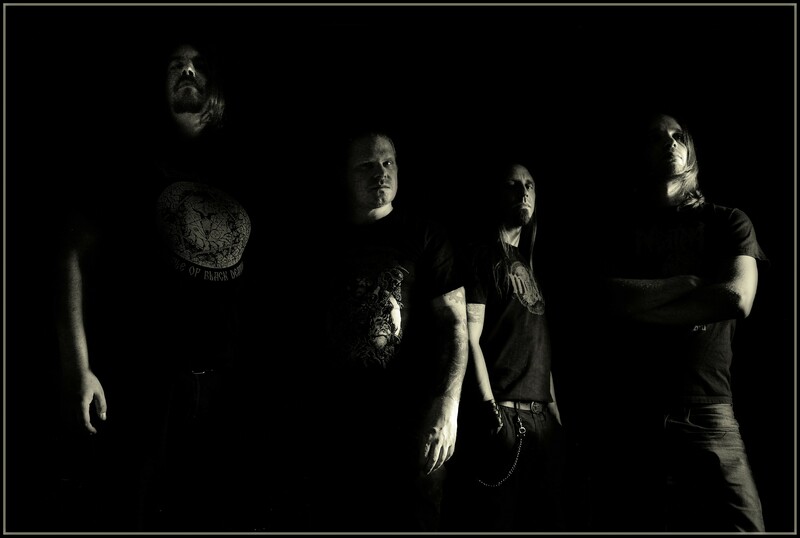 It is filled with hate and bad intentions, with “Relics of Sulphur Salvation” landing as one of this year’s more dangerous exercises in classic death metal. They have a mission to fight back against what they have perceived as spiritual oppression, and they’ve done so in the ugliest way possible. This record completely kills, and it’ll blacken your entire day.